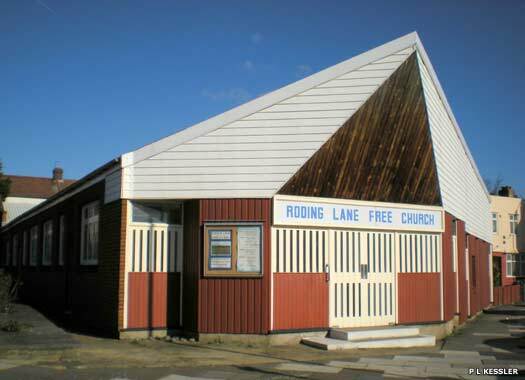 Roding Lane Free Church sits on the eastern side of Roding Lane South, close to Redbridge Underground. The church originated in 1932, when H E Borton of Wanstead built a free church at his own expense on land donated by P E Brand. Further buildings were added in 1942 and 1952. In 1940 Dr Nathaniel Beattie became lay pastor for the church. In 1952 the church became definitely Baptist, with Open Communion. Its premises were vested in the Baptist Property Board. 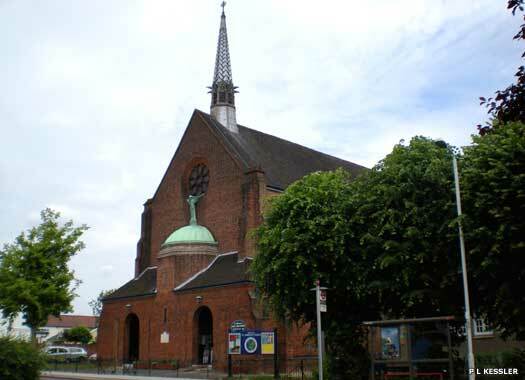 St John the Baptist Catholic Church is on the western side of Wanstead Park Road, opposite Highlands Gardens in Cranbrook. The church was founded 1967, and was built as one of the most recent Catholic churches in the diocese. The structure is very modernistic, in yellow brick with two large windows and a free-standing tower with bell cavity. The church has very little recorded history. 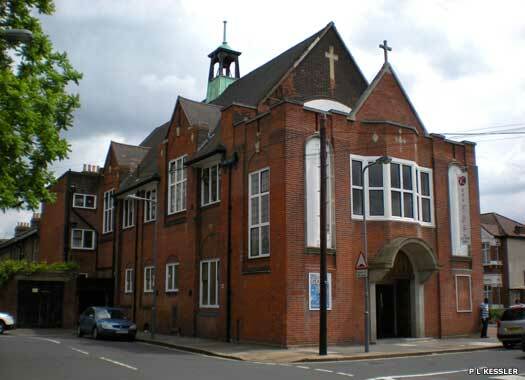 Before it was opened, St Augustine's in Gants Hill was the nearest Catholic church. St Andrew's Parish Church sits impressively on the south-east corner of The Drive and St Andrew's Road in Cranbrook, an area to the immediate north of Ilford. Building development in Cranbrook, which formed part of the parish of St Clement's Church (see below) meant that Anglican representation was needed. In 1906 a church hall was opened here (on the right in the photo). 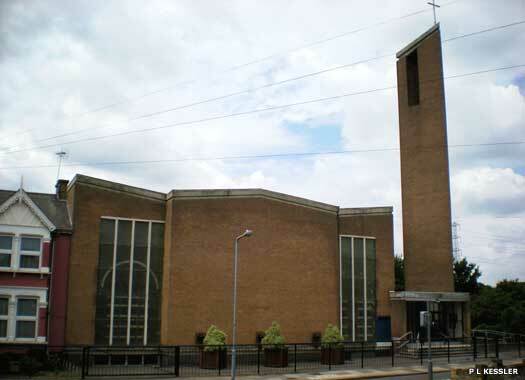 In 1923-1924 the present permanent church was built, gaining its own parish at the same time. The church was constructed of red brick both inside and out, to a design by Sir Herbert Baker, and it incorporates both Gothic and Renaissance features. It has a tall west bell turret (seen here at the front of the church) and contains a lofty nave with passage aisles, a double entrance (something which is not so usual with Anglican churches), a west baptistery, an apsidal chancel, and a north chapel. The advowson of the vicarage is held by the bishop of Chelmsford. Cranbrook Park (Wesleyan) Methodist Church lay on the north-east corner of The Drive and Clarendon Gardens. A temporary building opened in 1904. The permanent church was completed in May 1914 followed by a Sunday School in 1925. It thrived in the inter-war years, but membership gradually fell throughout the 1960s. The church closed in 1973, and its congregation joined the nearby Drive Church. 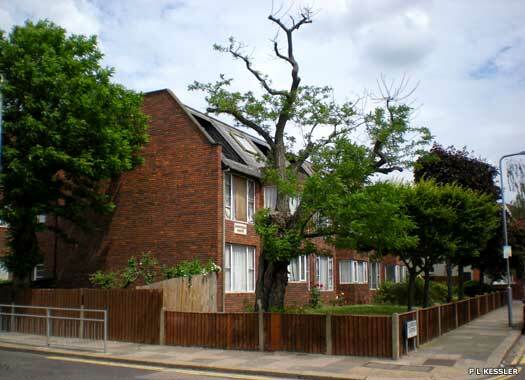 The site was sold and used to build sheltered housing. St Clement's Church Great Ilford stood on the northern corner of Park Avenue and Valentine's Road. 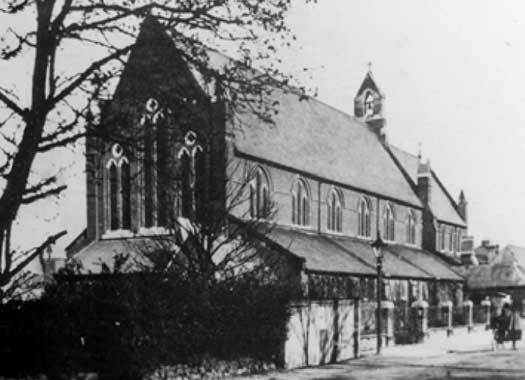 The church was built between 1889-1896, and in 1902 it replaced St Mary's, Great Ilford, as the principal parish church of Ilford. The church was closed in 1977 and was subsequently demolished. A new St Clement's Church was formed on an upper floor of the church hall (to the immediate right of this photo). This became The King's Church after 2003 (see below). The King's Church is on Granville Road, bordered north and south by Valentine's Road and Ingleby Road. Originally it was the church hall for St Clement's Church (above). That was demolished in 1977 and the church re-founded in an upper floor of the hall, which was licensed for marriages from 2 February 1979. The parish was united about 2003 with that of St Margaret of Antioch, and the church closed in July 2003. The building was taken over by the present Newfrontiers church. Christ Church Congregational Church lies on the western side of Cranbrook Road, opposite Park Avenue. It started in an iron building in 1895, and was formally constituted in 1896. 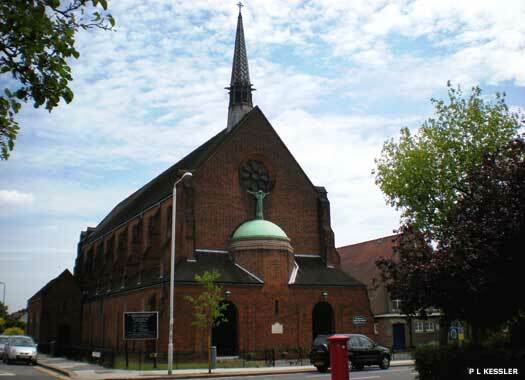 In 1904 the church was renamed Wycliffe Congregational Church ahead of the 1906 union with that church in Stepney. The Stepney church was sold, and in 1907 a new Wycliffe was built on the Ilford site. It eventually closed and now houses a property management company. 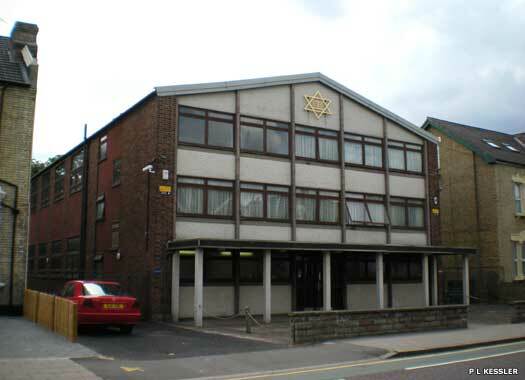 Ilford Federation Synagogue is on the southern side of Coventry Road, midway between Morland Road and Granville Road. 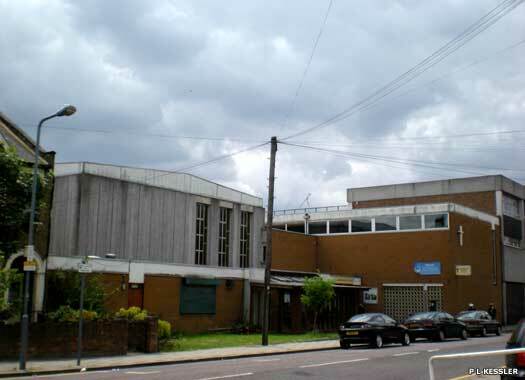 It was founded as Ilford & Valentines Park Synagogue in 1927, with its opposing United Synagogue, Ilford District Synagogue on Beehive Lane, being opened in 1936. The original building was replaced, probably in the 1970s, but in 2010 the sharing of the Beehive Lane site by both bodies was being discussed as a serious possibility. Cranbrook Road Baptist Church occupies a large plot on the southern side of Wellesley Road, midway between Morland and Cranbrook roads. 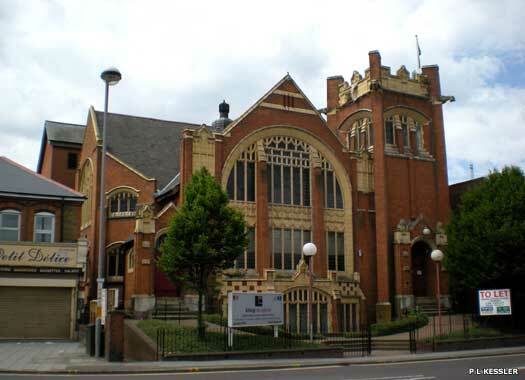 It was opened in 1899 on the site which had been purchased eight years earlier by the High Road Baptists. 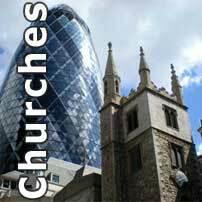 A minister was appointed in the same year, and in 1900 the church was formally constituted. A Sunday school hall was opened in 1906, but during the Second World War the old building was damaged by incendiary bombs.